2019 will see the race toward 5G intensify. After months of hype about instant connectivity and super-speed downloads, the next generation of wireless service will finally become a reality in 2019. All four major U.S. carriers have vowed to kick off or expand their respective 5G networks in the coming year, and most major phone manufacturers are set to release their first 5G-enabled phones (Apple, the reported exception, is said to be waiting until 2020 to bring 5G to the iPhone). While many of next year’s fledgling efforts may not live up to the technology’s loftiest expectations, 5G is expected to eventually reach download speeds between 10 and 100 times faster than what’s currently available, with a load lag time of less than a millisecond. Experts say that kind of unprecedented interconnectivity could usher in a host of new emerging tech markets, ranging from driverless car communication and power grid administration to mixed-reality streaming and remote healthcare. But those sorts of possibilities could take years to materialize. If what carriers have unveiled so far is any indication, expect the first 5G offerings to be spotty in coverage and maybe only marginally quicker than 4G-LTE in practice, despite higher promised theoretical speeds. AT&T became the first carrier to deploy a mobile, standards-based 5G network in late December, narrowly beating the end-of-the-year deadline the company set for itself. But like many early 5G milestones, the announcement came with a few caveats. For one, the service can only be accessed through a 5G-enabled hotspot device until compatible smartphones hit the market next year. It is also currently limited to early-adopting customers and businesses in parts of 12 U.S. cities. While an AT&T spokesperson said all subscribers in those areas are eligible for the 90-day free-of-charge rollout, the company isn’t entirely clear on how the initial pool of trial participants is being chosen. Once the initial rollout period is over in March, AT&T will start selling a 15-gigabyte 5G data plan for $70 per month with the hotspot priced at $499. The company has made deals to release one Samsung 5G phone in the first half of the year and another in the second half. Additionally, the carrier will expand the coverage area to seven more cities sometime in the first half of 2019. AT&T is also working to rebrand what is technically its “4G LTE-A” service (LTE stands for long-term evolution and A stands for advanced) as “5G-E” (E for evolution) in close to 400 markets around the United States. That mostly means that AT&T subscribers with the latest Android devices will see a new 5G indicator in the upper corner of their screens, but performance won’t quite match the standards necessary for 5G. Verizon introduced the country’s first commercial 5G service in October with its residential package that’s offered in four U.S. cities. Unlike AT&T’s mobile offering, the service is designed to beam into subscriber homes in place of a terrestrial internet connection, though it’s currently operating on a separate standard from the industry consensus for fixed 5G. Verizon has said it plans to move to the more widely accepted benchmarks at some point, and the company is currently working to double in-home speeds by the middle of next year. Verizon’s Home service costs $70 per month or $50 per month for customers who also have mobile packages. 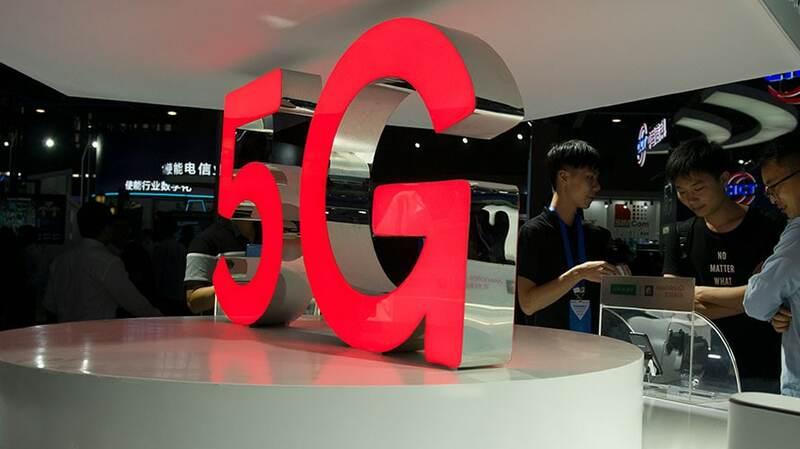 Meanwhile, the nation’s biggest carrier is busily readying its mobile network for an early 2019 debut with its own hotspot device from Inseego and a deal with Samsung to offer a 5G phone sometime in the first half of the year. T-Mobile CEO John Legere and his notoriously confrontational marketing department have relentlessly mocked the company’s two bigger rivals for the asterisks that come with their initial 5G offerings. But with a nationwide 5G rollout goal by the end of 2019, T-Mobile isn’t looking for a head-to-head race with either competitor.